… and roaming the aisles like a robot picking up the same items (or same “food-like” items) that you’re used to purchasing. Your whole mission is just to make your family a nutritious and delicious meal… so we want help you make some easy and healthy decisions at Costco. I love food! And I enjoy cooking… but I also like to make it simple. Working as a chiropractor in a busy Vancouver office is great, but it doesn’t leave me a lot of time to meal prep. 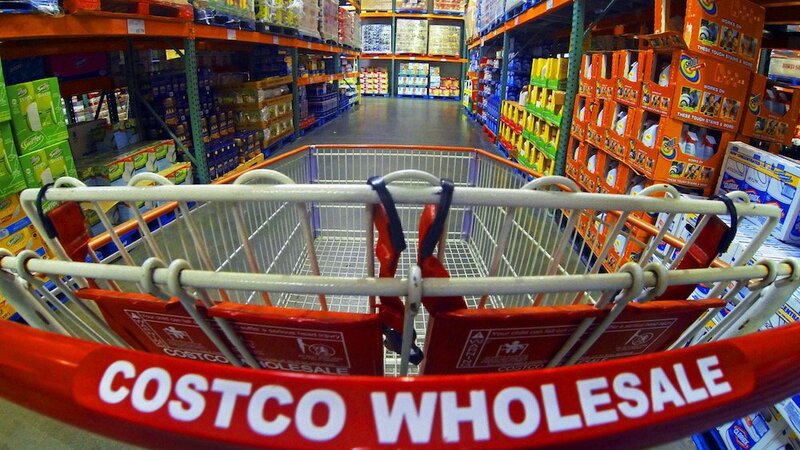 Relying on these 20 items help make my life easier when shopping at Costco… and hopefully yours too. Ground beef is something we always have on hand. By Design tacos, burgers and meatballs are some of most popular meals. 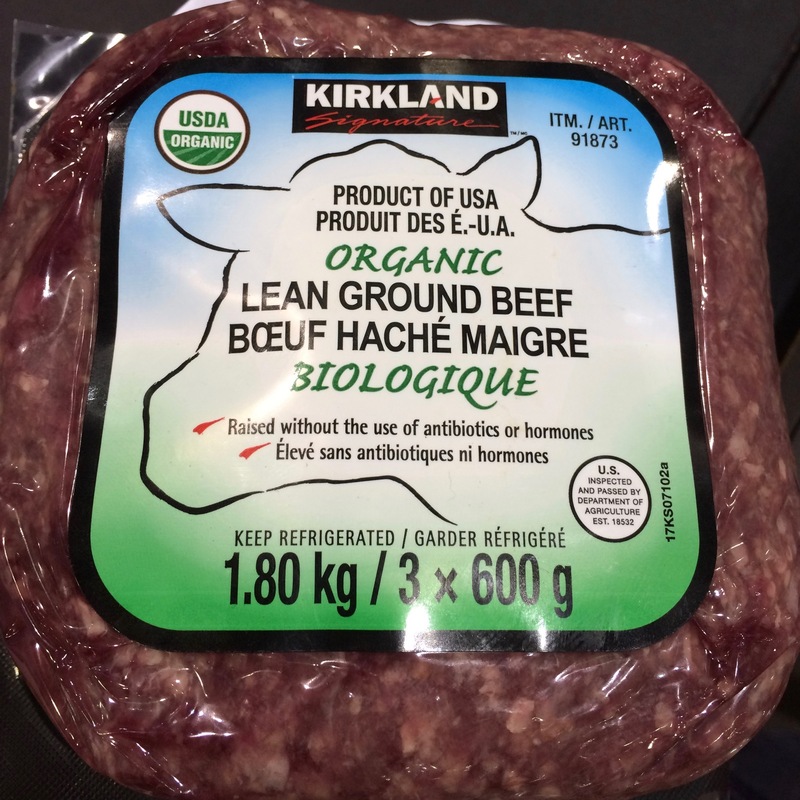 This Kirkland brand organic lean ground beef is raised without the use of antibiotic or hormones and come conveniently packed in 3 separate portions. This is an absolute essential in our household. 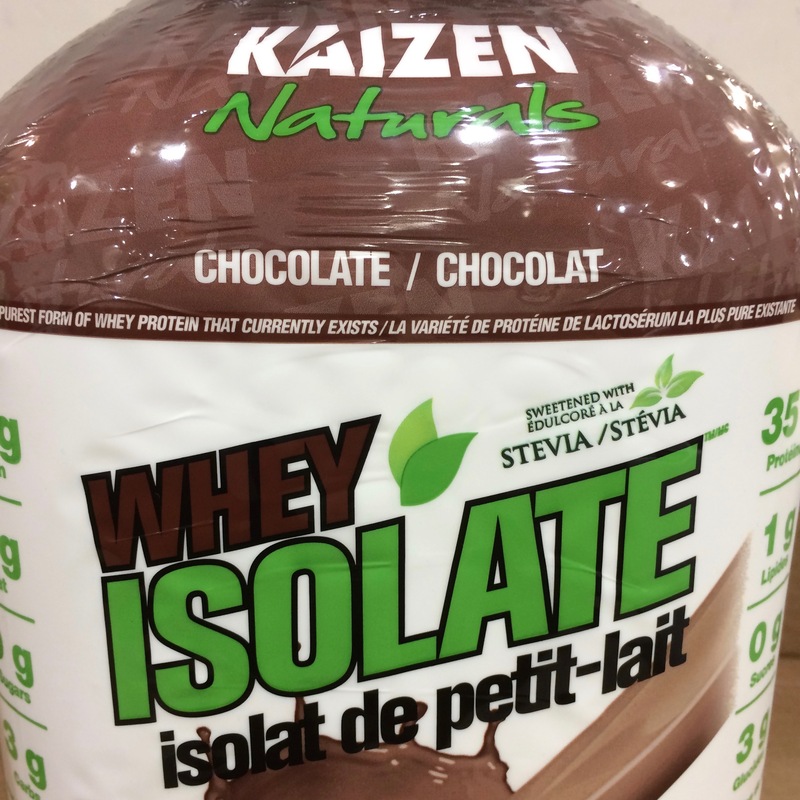 Supplementing your By Design diet with protein powder is the easiest way to be sure you’re getting the protein you need. I love (and always will love) to bake. I grew up watching my Mum bake, falling in love with the process and product more and more. 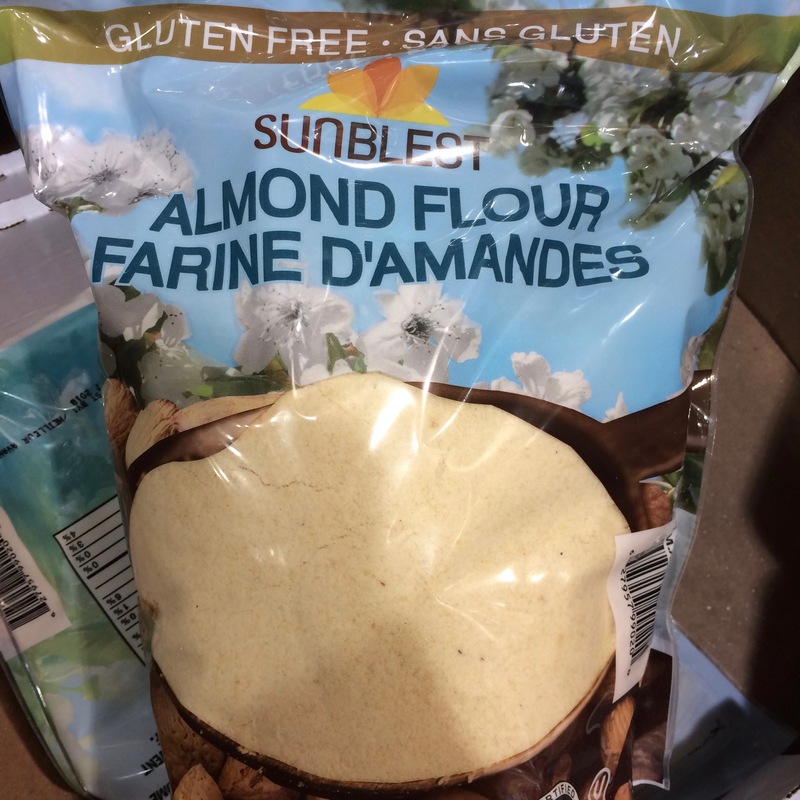 …until discovering flour alternatives like almond and coconut flour. These can easily replace traditional wheat flour in many recipes (with a few tweaks), and often leave the finished product tasting MUCH better than the original. When buying a bag this big, I suggest storing the extra in the freezer to keep it from going rancid. Click here for our Chocolate Chip Cookie recipe. 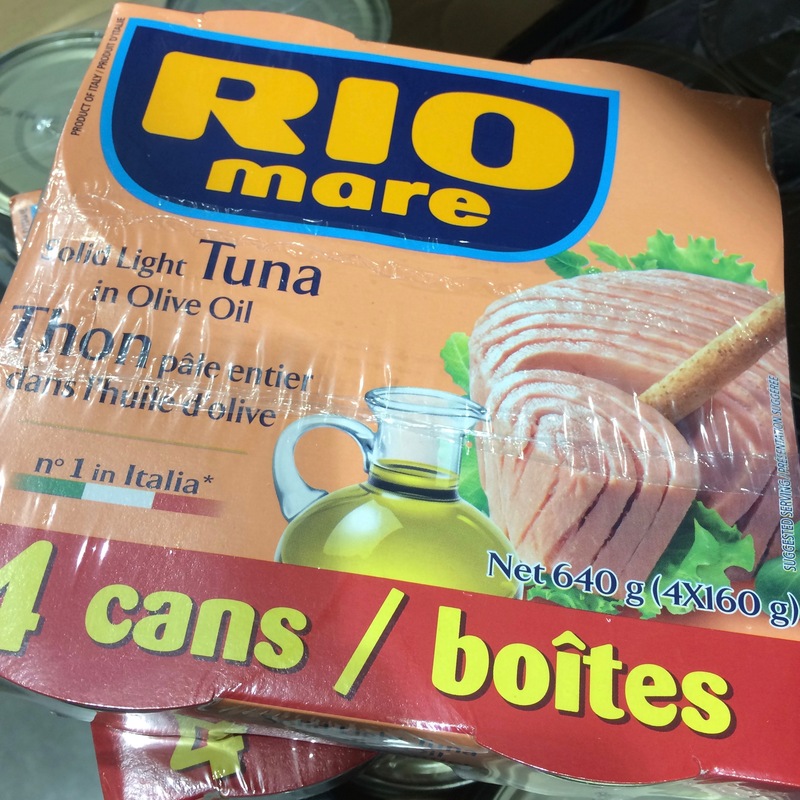 This tuna makes for a perfect snack or quick lunch option. It is sustainably caught and canned with olive oil and a pinch of salt…that’s it! Click here for our Nicoise-ish Tuna Salad recipe. This is a newer item in our household and we seem to be finding many uses for it. 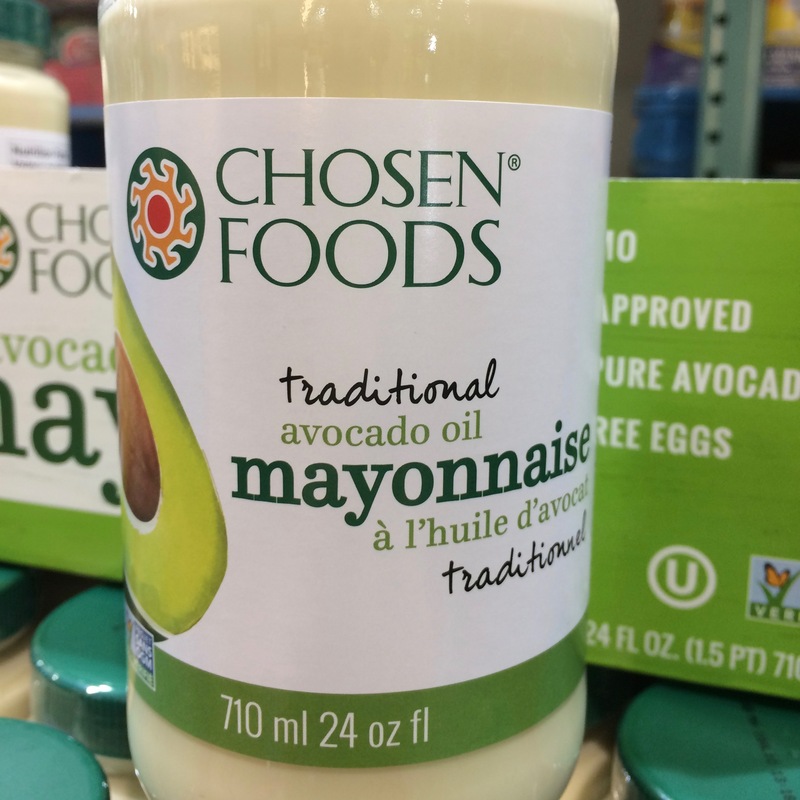 The trouble with traditional mayonnaises is that they contain highly processed seed or grain oils, which are high in omega-6’s and have inflammatory qualities. Avocado oil replaces those seed and grain oils in this mayonnaise. Avocado is a rich source of oleic acid, the essential fatty acid that gave olive oil its claim to fame. These are always in stock at our place. We use them in protein shakes, By Design muffins, in full fat yogurt or by the handful for a cool treat. 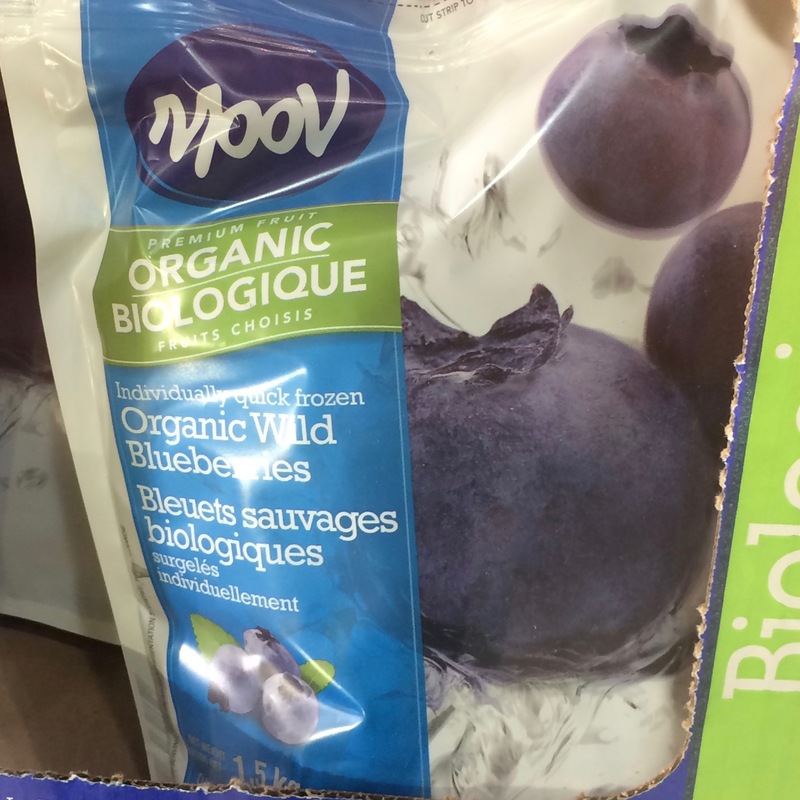 These organic wild blueberries are individually flash frozen, so they don’t clump together in the bag. Click here for our Bite Sized Raspberry Popsicle recipe. Next to ground beef, this is something you can always find in our fridge or freezer. … and since chicken is so versatile, it’s always on hand. 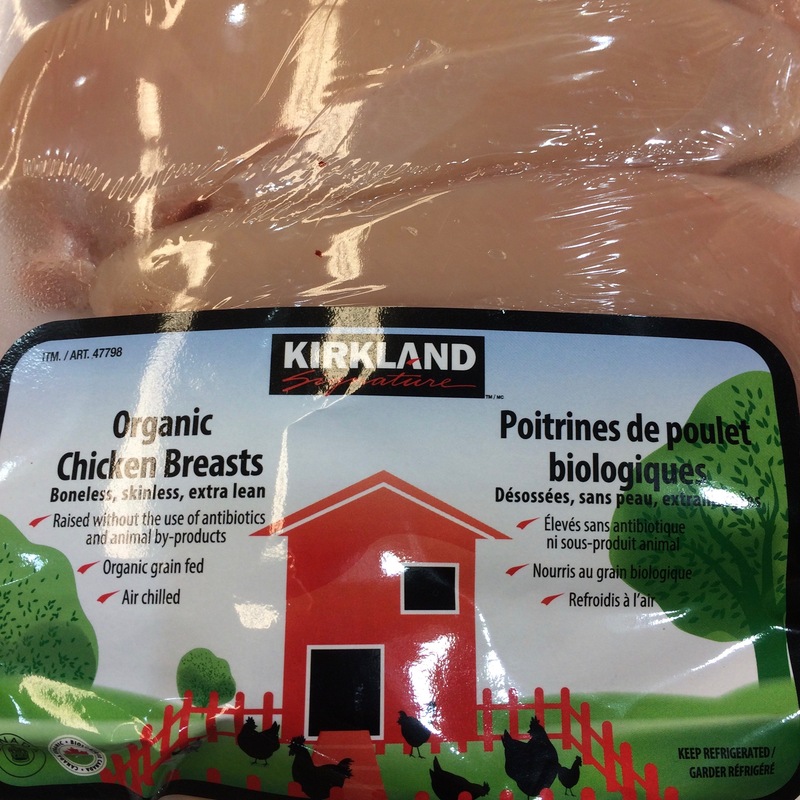 The Kirkland brand organic chicken breasts are raised without the use of antibiotics or animal by-products. Each tray has between 5-7 breasts, so I either pre-cook them all for the coming week of meals or put them in separate Ziplock bags before freezing them. Click here for our Coconut Lime Chicken Soup recipe. Worried about getting enough greens? 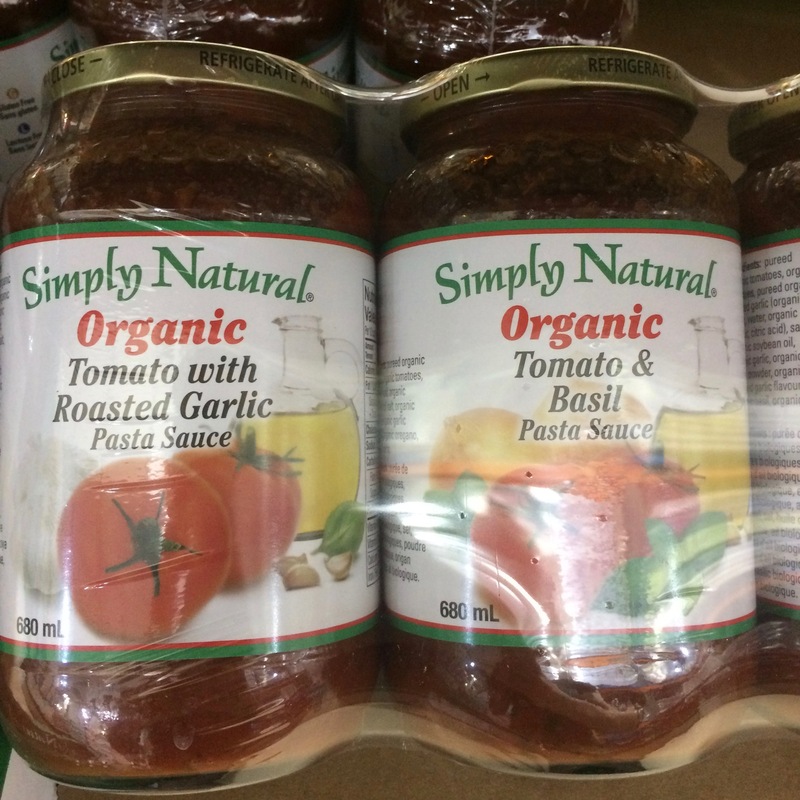 This is a tasty way to top up on your organic veggies. 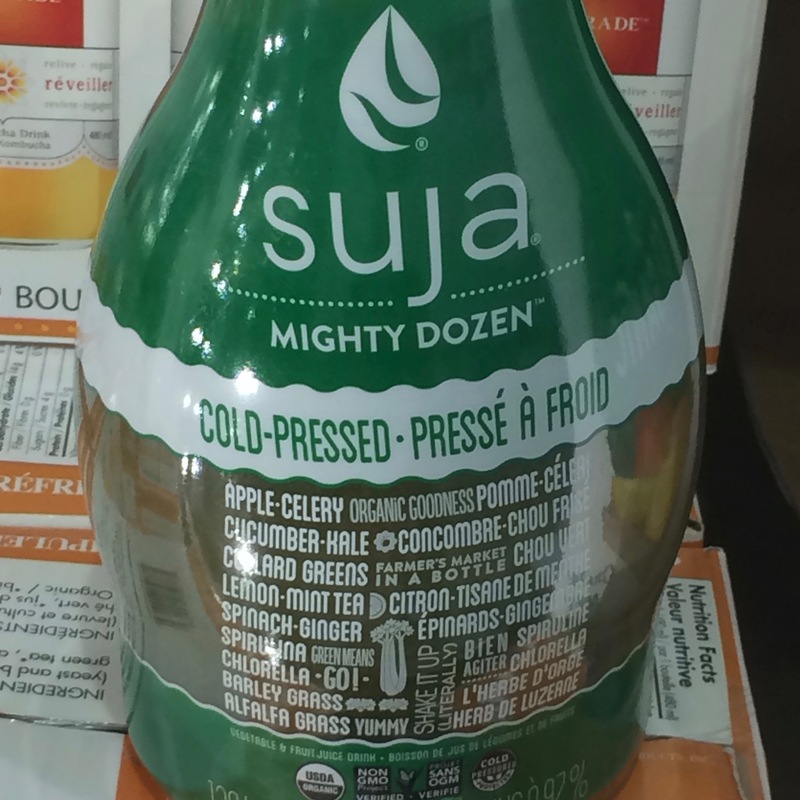 Suja’s Mighty Dozen organic cold pressed juice is packed with celery, cucumber, kale, collard greens, spinach, barley grass, alfalfa grass and spirulina. Don’t worry…the apple, ginger and lemon pull their weight in the taste category. …we use it for cooking, in our morning coffee, for baking and even in some of our homemade personal care products. Not only is coconut oil packed with healthy fats, it also has the added benefit of naturally containing antimicrobial lipids. These lipids have antifungal, antibiotic and antiviral properties, which help strengthen immune function in the body. 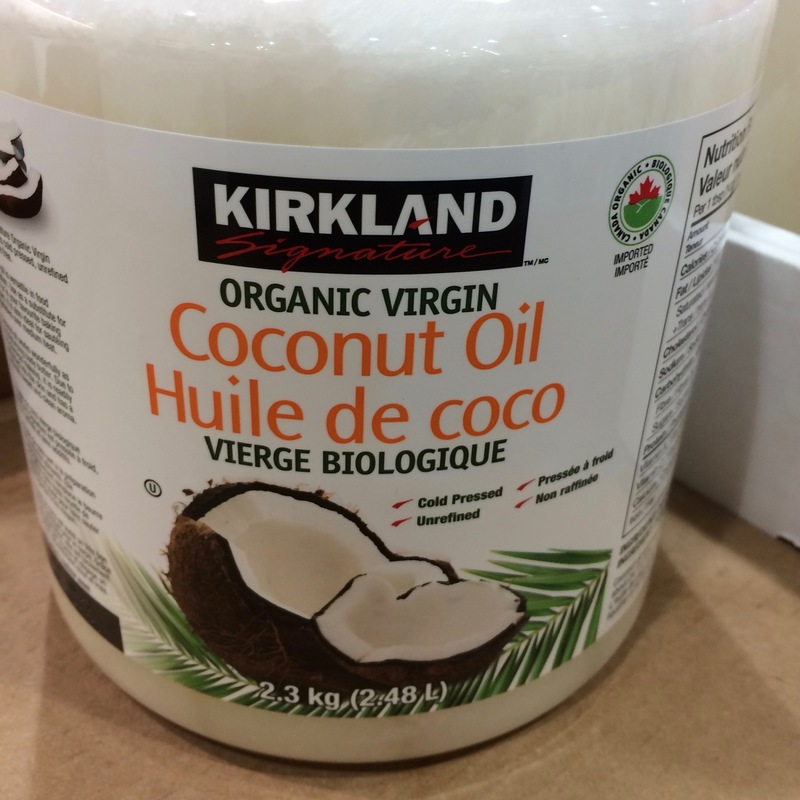 Kirkland’s organic virgin coconut oil is cold-pressed, unrefined and chemical-free. … and one that saved me lots of time. I used to buy the fresh wild salmon from Costco, though unfortunately it was not always available in their seafood section. When I could get it, I’d take it home to package and freeze myself. 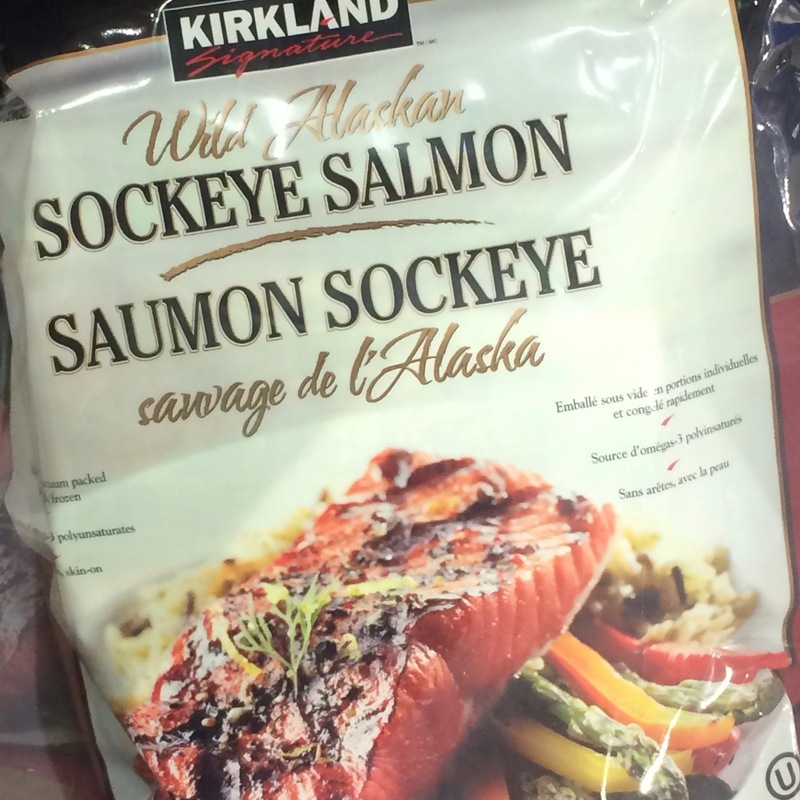 These wild Alaskan sockeye salmon steaks are already individually packaged! Wild fish is always more nutrient dense than farmed fish, plus it’s a great source of omega-3 fatty acids. These individually packaged fillets also come in wild pacific cod, if salmon’s not your thing. Celery or apple slices dipped in almond butter is a typical afternoon snack in our household. It’s quick, easy and simply delicious. Period. 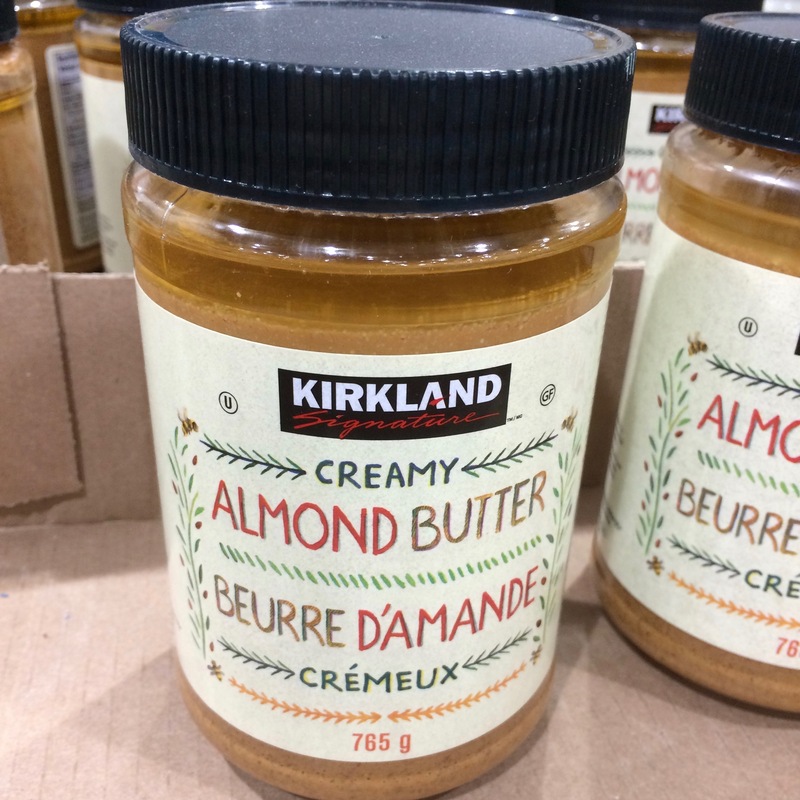 Kirkland’s creamy almond butter is definitely the best bang for your buck! Click here for our Chocolate “Peanut Butter” Protein Smoothie Bowl recipe. I don’t know about you… but the thought of making my own guacamole seems almost impossible! …I’ve missed my 2 hour window and now they’re complete mush! I feel like the stars have to align before the perfect batch can be attempted. 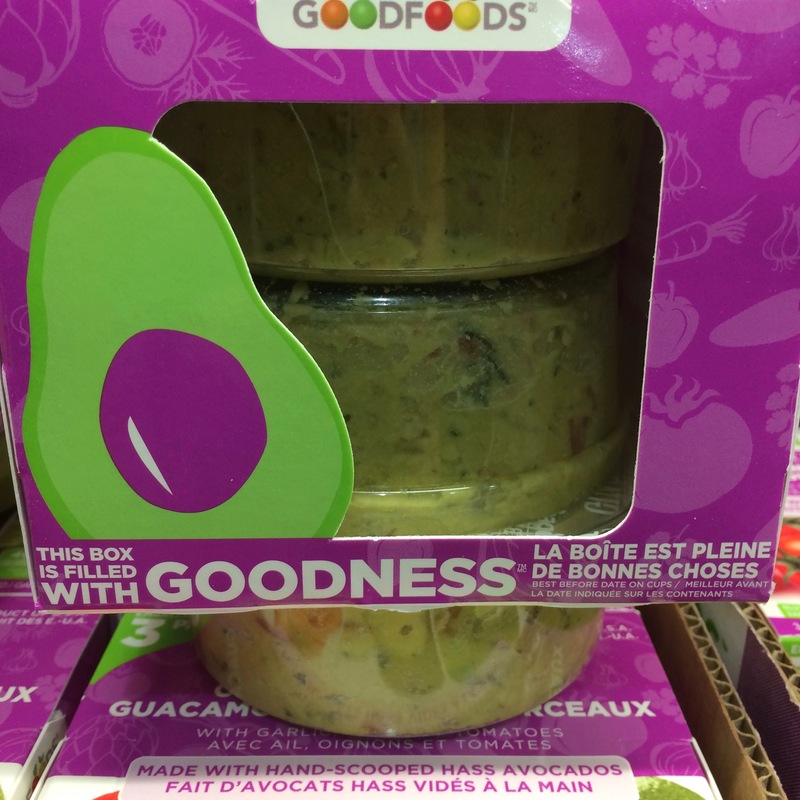 Luckily the amazing people of Good Foods produce 3 perfectly portioned containers of guacamole, made with hand-scooped has avocados. 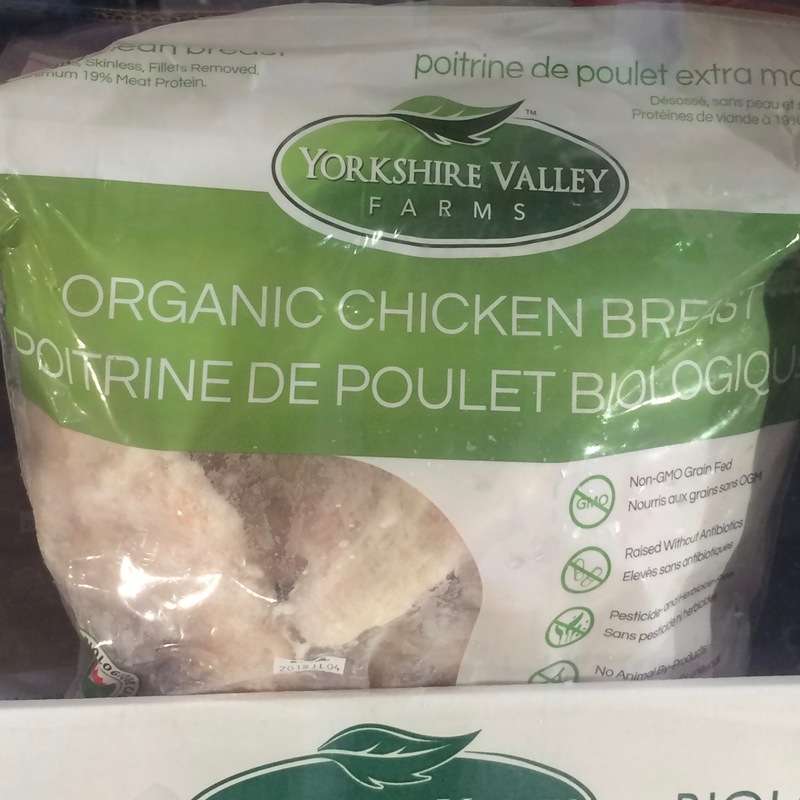 These are a great alternative to the fresh organic chicken breasts listed above. If you know you’re going to be freezing them anyway… save yourself a step. Plus, these are always in stock… sometime the fresh are not available. 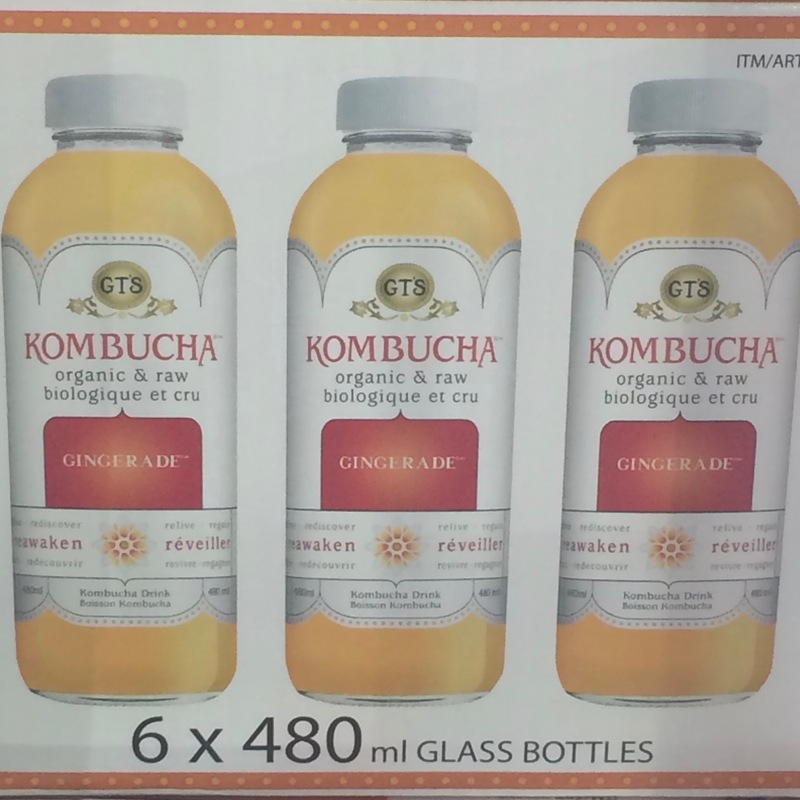 Kombucha is a fermented tea beverage packed with probiotics, the “good” bacteria that naturally live in your gut. The fermentation process naturally produces probiotics, just like the ones found in a commercial supplement. Try replacing your morning glass of juice with kombucha for a flavourful and beneficial boost. Click here for our homemade Kombucha recipe. You can almost always find some variety of organic berries in the fridge section. 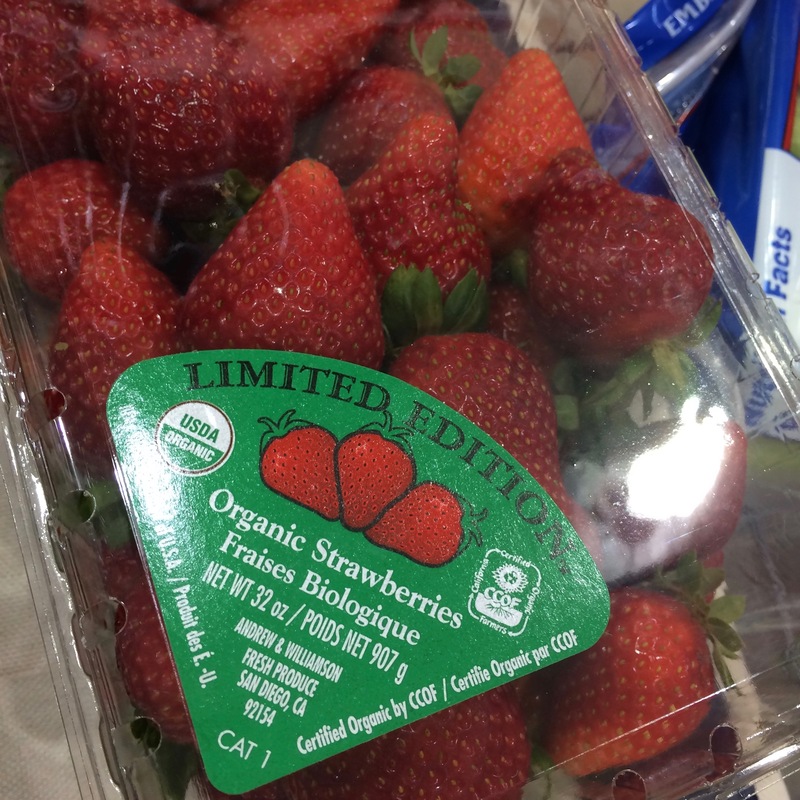 Strawberries are one of the most important fruits to buy organic, as they are first on the “Dirty Dozen” list most years. The “Dirty Dozen” is a list put out each year by the Environmental Working Group, identifying the produce varieties with the most pesticide residue (…so these should be bought organic as often as possible). I’ve always got a couple of these on hand. …always available for sample at our Eat By Design workshops. Click here for our Breakfast Pizza Baked Peppers recipe. This has quickly become our go-to lunch staple. 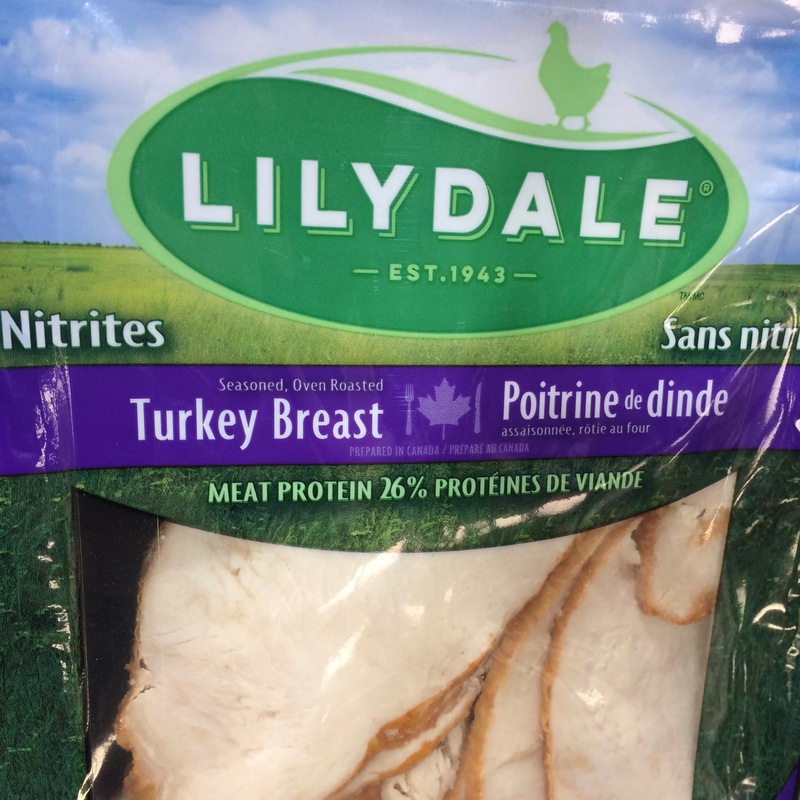 It doesn’t get much easier than pre-cooked and sliced turkey breast. Having pre-cooked protein sources on hand makes it easy to stay on track and avoid other easy (less By Design) options. 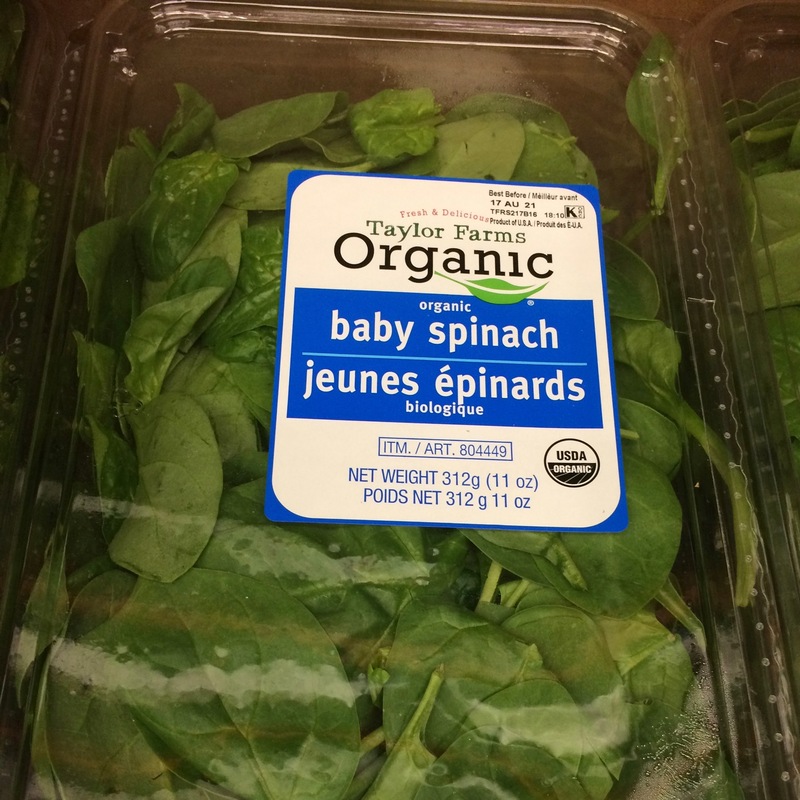 Number 2 on the “Dirty Dozen” list this year is spinach, so this organic baby spinach is perfect. We use this in our salads, protein shakes and omelets…though there are a million things you can do with it. If you can’t get through it all, freeze the extra for protein shakes, stews and soups in the future. … one that is very handy for By Design households. Cauliflower “rice” is one of the recipes we share in our Eat By Design workshop… it’s a By Design alternative to rice and perfect for curries or alongside your favourite meat. If you don’t have a food processor, grating a head of cauliflower into “rice” by hand can be tedious…well, Costco has you covered! 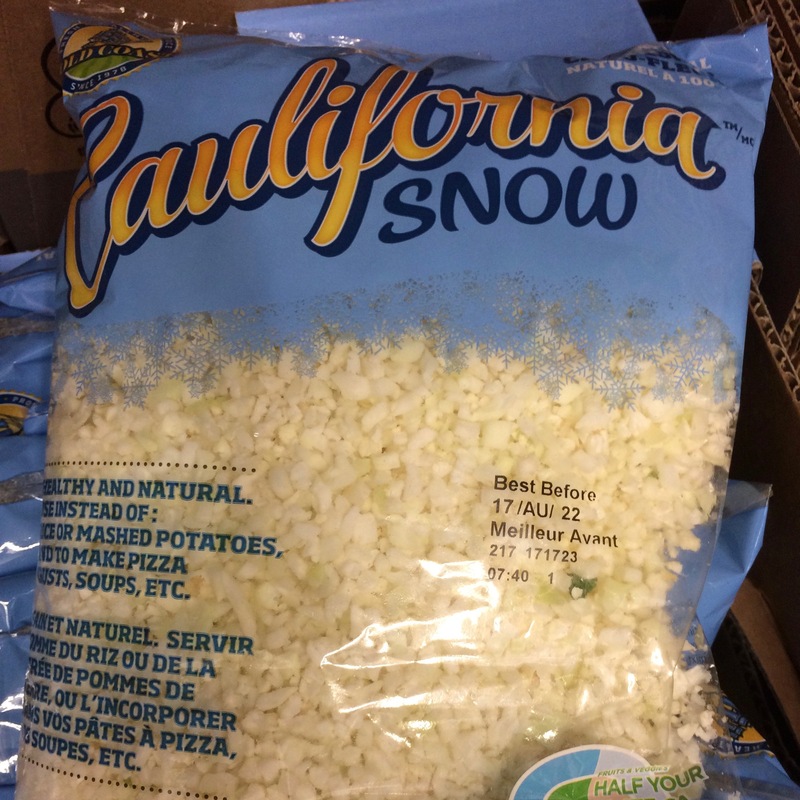 This cauliflower snow is simply grated cauliflower. Making By Design rice literally couldn’t be easier with this product. This book has been one of my favourite Costco purchases, and the reason our traditional holiday favourites can still be enjoyed, grain-free. 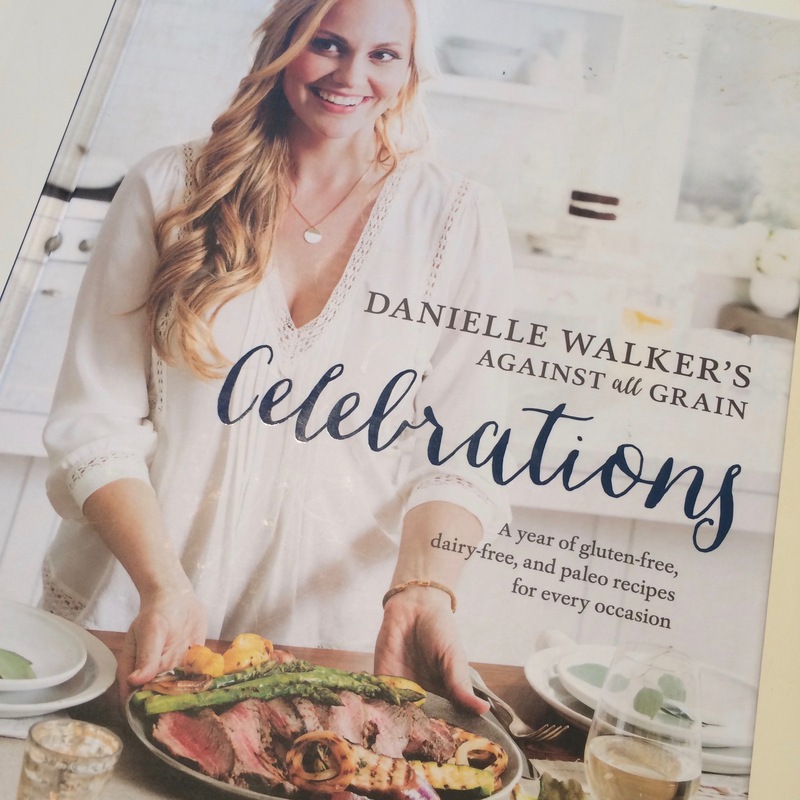 Danielle Walker of Against All Grain has essentially “By Designed” everything you might enjoy for any holiday throughout the year in her Celebrations cookbook. She’s written 3 cookbooks completely packed with By Design meals, and you can almost always find at least 1 on the book table at Costco.